Bullnose Closed Shader Tube in surgical grade 316 Stainless Steel. 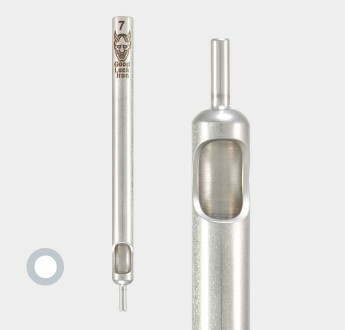 Good for artists who prefer a lon..
Bullnose Diamond Liner Tube in surgical grade 316 Stainless Steel. 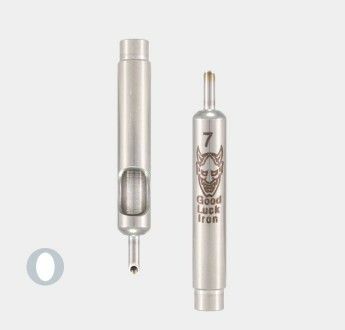 Angle cut tip for better needle s..
Bullnose Round Liner Tube, angle cut for better needle sighting. 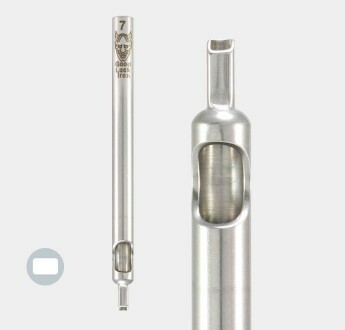 An alternative to the Bullnos..
Bullnose Round Straight Cut Liner Tube in surgical grade 316 Stainless Steel. 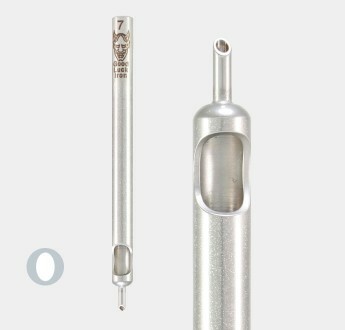 Ideal for line and det..
Bullnose Closed Shader Tip in surgical grade 316 Stainless Steel, for use with our 50mm Backstem.&nb..
Bullnose Closed Shader Tip in surgical grade 316 Stainless Steel with interlocking step, for use wit..
Bullnose Diamond Tip with 5mm interlocking step, for use with our 55mm Backstem with internal step.&..
Bullnose Round Tip in surgical grade 316 Stainless Steel. Angle cut for better needle sighting. Use ..
Bullnose Round Angle Cut Tip with 5mm interlocking step. Good for artists who like a longer throw. 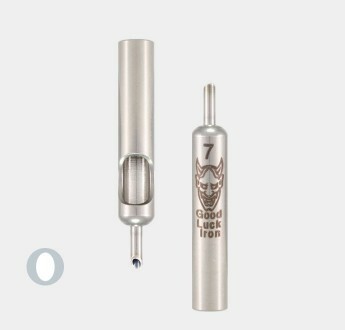 U..
Bullnose Round Straight Cut Tip, ideal for line and detail work. 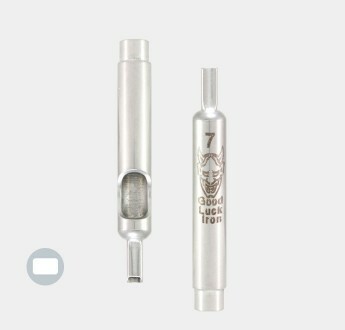 Use with our 50mm Backstem. 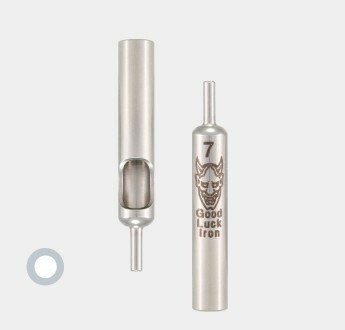 Produc..
Bullnose Round Straight Cut Tip, with 5mm interlocking step. 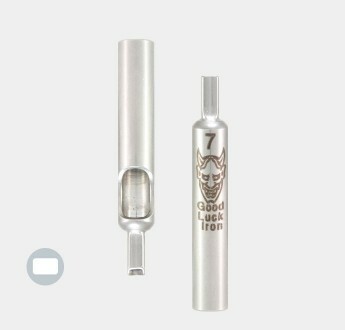 For use with our 55mm Backstem with int..